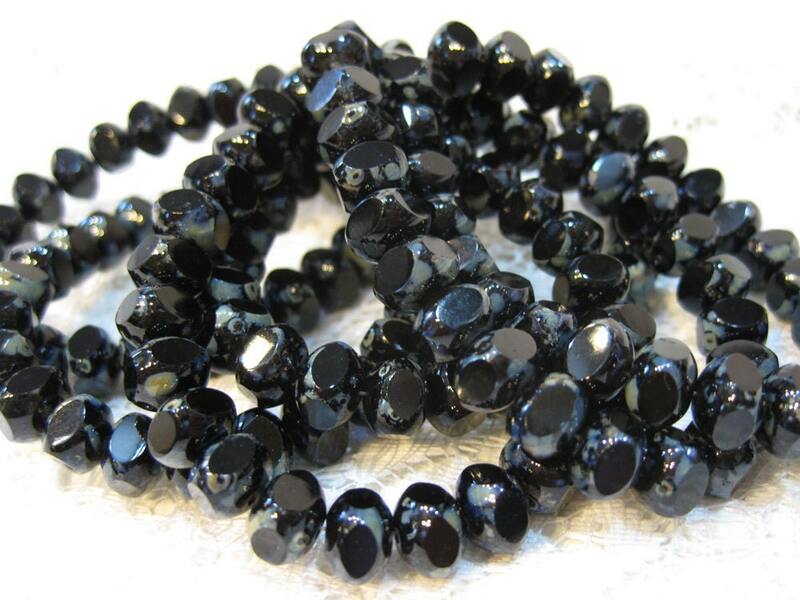 Glossy vibrant black with silver picasso in these Czech pressed glass large faceted rondelle beads. These are 6mm x 8 mm and 25 per strand. As pictured...thanks much! Fast shipping too!